The Viasat Community WiFi hotspot service from Viasat Inc. (Nasdaq: VSAT) is now available within walking distance to more than one million Mexicans living and working in thousands of rural Mexican communities — the Community WiFi service is marketed locally in Mexico under the Conectaless brand. In 2017, Viasat established a commercial agreement with Grupo Prosperist, a Mexican telecommunications and technology service provider serving rural Mexico for nearly a decade. 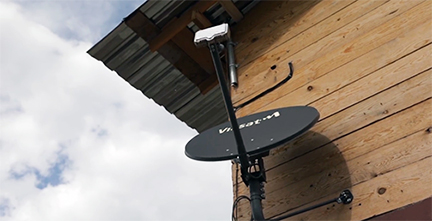 Through the arrangement, Viasat and Grupo Prosperist have successfully deployed the Community WiFi service across Mexico, making affordable internet available to many of country’s most remote locations. Viasat and Grupo Prosperist have continued to offer additional value-added services beyond connectivity, most recently including a pay-by-the-minute voice phone service and convenient online bill payment services. 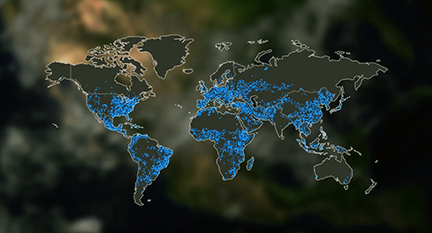 The Community WiFi service uses a centralized WiFi hotspot to connect to a Viasat satellite to deliver internet service to remote communities that previously had little or no internet connectivity. The service can be deployed with minimal local infrastructure investment, and can quickly bring cost-effective internet services to emerging markets where large gaps exist between demand and the affordability and availability of internet services. Since signing the strategic agreement with Viasat, Grupo Prosperist has hired more than 40 people in Mexico, growing to more than 100 employees between their headquarters in Tijuana and logistics center in Mexico City. Viasat is also evaluating a number of strategic partnerships to provide additional value-added services such as microfinance, mobile banking, education and telemedicine. Kevin Cohen, MD, Global Community WiFi at Viasat, said in Mexico, there are millions of citizens that have been left unconnected due to high terrestrial and wireless infrastructure deployment costs associated with geographically-dispersed and remote communities. Viasat is changing that. The company's cost-effective satellite infrastructure and attractive bandwidth economics coupled with the firm's innovative Community WiFi business model, enabling Viasat to bring digital inclusion to the region through the availability of affordable, high-quality, high-speed internet services. Today, through this relationship with Grupo Prosperist, the company is reaching more than one million Mexican citizens — delivering up to 50 Megabit per second speeds — and Viasat fully expects this opportunity to grow over the next few years as unconnected communities continue to be connected. Javier Ramirez Navarro, co-founder and CEO at Grupo Prosperist, added that Grupo Prosperist is dedicated to investing in innovative technology and services that will enhance the lives of people throughout rural Mexico. The company believes connectivity is a strong medium for economic and social development. By working with Viasat, the firm can deliver the internet to millions of Mexicans and help generate a positive socio-economic impact in regions where traditional terrestrial and wireless internet services were either non-existent or cost prohibitive. The demand for Viasat’s Community WiFi service has been high, which has led to job creation and local hiring to support the deployment of Viasat’s services across the county.